The Takeaway: After 110 posts, we salute our supporters, celebrate our accomplishments, make some changes, and prepare for an even better 2011. On Wednesday, we published my 100th post, written since the first one – on free and fair corporate elections – appearing July 8th, when we launched this experiment. When you add the Commentaries – from Bob Massie, Bill Baue, Liz Umlas, and Conrad MacKerron – the total is 110, an impressive number considering all that’s happened in the past six months. As we pause and reflect on all that’s been accomplished along the way, I want to thank both Bob Massie (whose idea this was) and Bill Baue (who tried mightily to improve my prose), as well as my colleagues at The Transition Group – Sonia Hamel, Ariane Van Buren, Dianne Callan, and Josh Gay – for their extraordinary editorial support and all around commitment to turning this idea into reality. And, I want to thank all of you who have followed, shared, Tweeted, and commented, and otherwise let us know that we’re making a constructive contribution. We are very grateful. As we proclaimed in the inaugural edition, the idea is bold and clear: that the Post serve as “a gathering place for information, ideas, deliberation, and strategic action on matters pertaining to the reform of our corporate structures and capital markets.” As we approach 2011, this continues to guide our decision making, even as change is afoot. We’ll be making adjustments to the design and layout of the Post, to make it more accessible and lively. We’ll also be developing new forms of interactivity, to inspire more community engagement and activism. And, we’ll be looking to you for contributions and insights, because the best kind of learning in this rapidly moving world of ours is that drawn from experience and shared. More significantly, Bob and Bill, having helped me get through 100 posts in six months, are now stepping away from direct, daily involvement to pursue their own adventures rooted in the same beliefs. We’ll be inviting both of them to continue contributing their own articles in the future, because they’ve much to teach us. So the Post continues to evolve, and we evolve with it—a form of “permanent beta”. You’ll be seeing some changes, which I hope you like. And you’ll be asked what you think and what you’re doing, which I hope you like even more. So here’s to the past six months, and a future with many more adventures together in making this small planet of ours a more sustainable, just, and compassionate place. 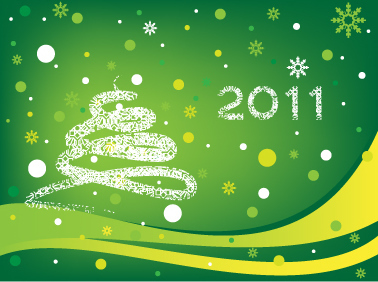 Have a wonderful New Year, and see you in 2011!